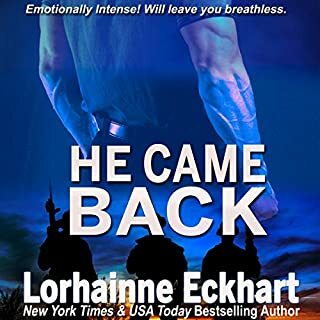 New York Times best-selling Author Lorhainne Eckhart brings you He Came Back, one woman's haunting journey when her husband returns home and everything she thought she knew about their life together has suddenly changed. When the unthinkable happens, a family's life is changed forever. Katy and Steven have settled in their new home, with a new job, a new life, and a baby on the way. Everything for this young couple is perfect - that is, until the night Steven makes a quick trip to the grocery store for his pregnant wife. As the sun rises and Katy wakes, she soon discovers that Steven never made it home. Emily Nelson, a courageous young mother, ends a loveless, bitter marriage and strikes out on her own. She answers an ad for a cook and live-in caregiver to a three-year-old boy on a local ranch. Ranch owner Brad Friessen hires and moves in Emily and her daughter. But Emily soon discovers something's seriously wrong with the boy, and the reclusive, difficult man who hired her can't see the behavior and how delayed his son is. Bryce Montgomery is a local magazine’s number-one most eligible bachelor - but he’s not thrilled about it. He was talked into doing an interview by a self-serving friend and ended up at the top of the list, drawing all sorts of unwanted attention. Jaded by a failed engagement, all he wants to do is focus on growing his business, Titan Enterprises, but when he has a chance encounter with a woman at a restaurant, he is instantly intrigued by her. 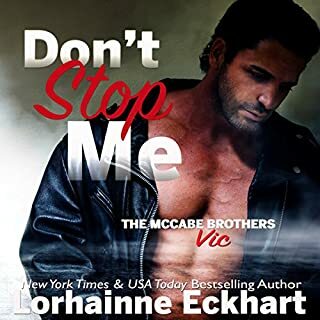 From the moment the new sheriff walks into Julia's cafe, she fights the attraction from the new sheriff, a man she recognizes is ex-military and has baggage that comes along with it. Even though she's never felt this way for another man, Julia isn't willing to take a chance with Logan. No, she's convinced herself she needs stability, someone average, someone who has never handled a gun. Except when her daughter disappears, it's Logan who's there for her, it's Logan she turns to, and Logan who turns the town upside down searching for her. Twenty-four-year-old Naomi Parker is interning as a journalist. Until she stumbles onto a big story about a ruthless man and a destroyer of women. So, with two objectives in mind - be the best she can be and not let him see who she really is - Naomi is convinced she’ll uncover everything he’s been trying to hide. The only problem: The man she set her sights on isn’t anything as rumored and what she believes him to be. Have this book on kindle too . Good story line and characters . Enjoyed the audible book too. Definitely look next in series. I've really been enjoying listening to The Parker Sisters series. Play Hard to Get is the third book in the series. While I think this could be read as a standalone, I believe that you will probably enjoy it more if you read the books in order. About the narration: This is my second audiobook performed by Mary Jane Conlon and I loved her voice just as much this time as I did before. I tend to be hard on female narrators as I usually find their voices just not as pleasing to my ear as a male voice. Mary Jane Conlon is one of the three or four exceptions for me so far. Her phasing was perfect, the inflections in her voice match the text and she did a good job of differentiating between all of the character's voices. 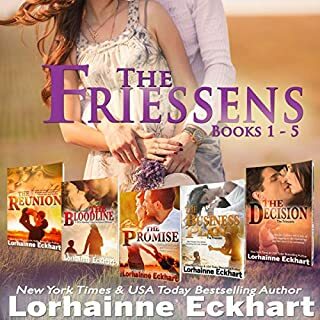 The Parker Sisters series has all of the close-knit family elements that I've found in Lorhainne Eckhart's Friessens series and I'm really enjoying the books. One of my favorite things about this series is that the books are quick reads/listens; just perfect for an evening's entertainment. Ms. Eckhart does a great job with this length of book and I look forward to reading or listening to more of her work. I won a copy of this audiobook from the author in a giveaway but no review was requested or required. My review is voluntary and not influenced by the author. I loved this audiobook. Though I had not read the previous stories, it is definitely a stand alone. Naomi Parker, is a young reporter. All she wants is to write the story that will make a name for herself. To do that , she goes undercover as a waitress in a strip bar. Cameron Donnelly, is the owner of the bar and a man whose life was upended the previous year when newspapers wrote scandalous stories about him. But, after she is attacked in the bar, it becomes evident things are not what they seem. The story was engaging and the characters complex. Not a dull moment and one that I promise you will enjoy. I was entrusted this audiobook. The opinions expressed are solely my own.